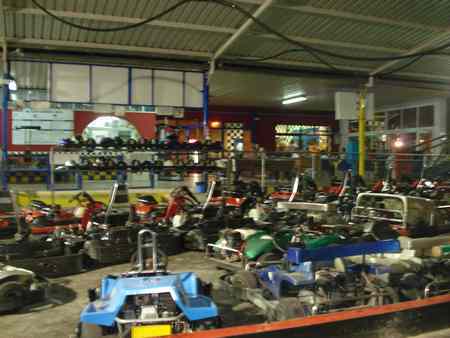 Go-Karting is the perfect summer fun activity for all the family. 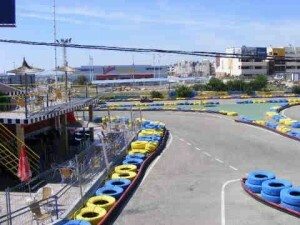 The track is open to all ages and there are special baby karts and a separate track for 5 to 10 year olds. Adults can choose from an 11 C.V. kart or a more powerful Honda 400 C.C. model. 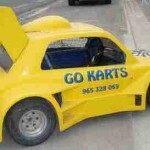 There are also Go-Karts designed for two people and special competition karts for the more experienced. For 7 to 12 year olds, Quad Bikes are available and they have their own separate track. 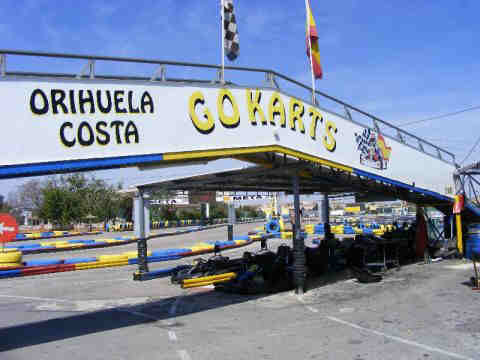 The Orihuela Go-Karting track is quite extensive and has a challenging mix of straights and corners, mostly of the hair pin variety for that added thrill. It is very well supervised and should anything untoward happen, the marshals are quickly on the scene to lend a helping hand. Prices are very reasonable and for adults range from 13 to 19 euros for an eight minute ride. Prices for children (5 to 10 years) and juniors (10 to 15 years) are 6 euros and 8 euros respectively. 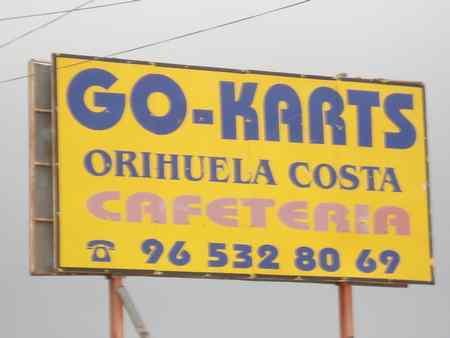 The facilities at the Orihuela Go-Karting track are excellent and include viewing areas, a bar and a restaurant. A varied menu is on offer and there is a large selection of pizzas, meat and fish dishes to choose from. For those not quite up to the Go-Kart experience, there is a tamer video arcade version in the restaurant. I thoroughly enjoyed my first Go-Karting experience and it will certainly not be my last. However, driving my somewhat sedate VW Golf will never be quite the same again. 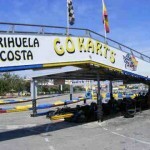 Go-Karts Orihuela is situated on the N-332 just beyond Punta Prima, Situated next to the Euro Market at Punta Prima Torrevieja. The track is open every day from 11:00 hrs. 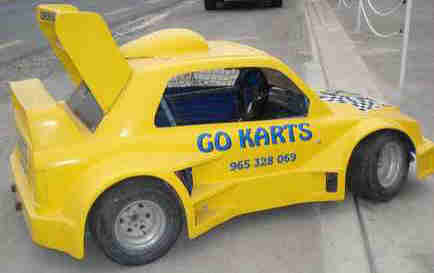 The go kart is left open for spectators, so if you re not sure whether you want to give it a go, you can view free of charge also. 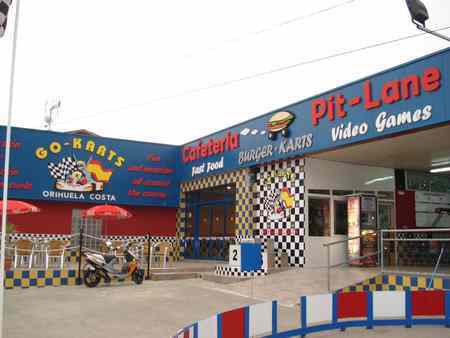 There is also a cafeteria, for food and drinks and a few games machines as well. 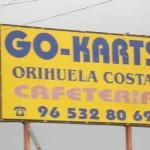 A great fun day out for the whole family can be had at Go-kart Orihuela Costa. 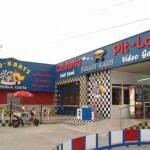 Situated next to the Euro Market at Punta Prima on the N332.